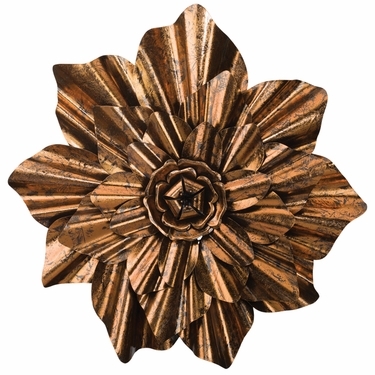 Make an eye-catching statement with this contemporary Bronze Flower Wall Decor! Quality metal is constructed and sculpted to form this impressive wall piece for your garden. A beautiful texture and hand-painted technique gives this work of art a unique look. Add high-style to your garden, deck or enclosed porch, with is full-sized charming flower wall decor! A touch of dimensional depth gives an appearance that will wow your guests and accent your space in a perfect way.